Has Yogi Adityanath failed on his poll promise of crime-free Uttar Pradesh? 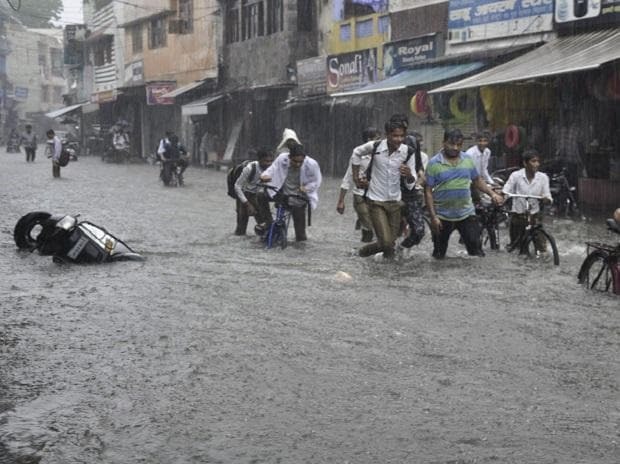 Twelve more people were killed and fourteen injured in overnight rain-related incidents in Uttar Pradesh, a senior official said Tuesday. According to reports, three people were killed each in Gonda and Kushinagar districts, two in Mirzapur and one person died each in Bahraich, Sitapur, Meerut and Etah, Relief Commissioner Sanjay Kumar told reporters. "Twelve people were killed and 14 injured in rain-related incidents, including in lightning strike, since Monday night," he said. In this period, as many as 226 houses/huts were damaged and three head of cattle died, he said. The Meteorological Department has forecast heavy rains at isolated places on Wednesday. Meanwhile, light to moderate rains and thundershowers were recorded this morning at most places in eastern Uttar Pradesh.